Like Merchant Ships: Out of baking chocolate squares? Out of baking chocolate squares? 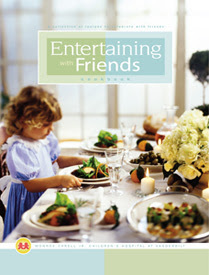 I was just flipping through an early Christmas gift, the new Entertaining With Friends of Vanderbilt Children's Hospital. A note on the sidebar gives a handy substitution for baking chocolate squares: One square equals three tablespoons cocoa and one tablespoon shortening. What a great cheap tip! The Betty Crocker recipe for Brownies calls for baking chocolate. I learned a long time ago that you could substitute for it. It's even been written in the margin of the cookbook. It makes an easy recipe even easier--and more frugal to boot! That is so good to know! Thanks for passing it on! I don't always read my recipes through before I begin and realize part way through that I need something that I don't have. Another substitute for baking chocolate squares...I've used broken up Hershey's chocolate bar or a chocolate Easter bunny or chocolate Santa. I do that one all the time; it works well! Baking chocolate is too expensive and I don't want to store two kinds of chocolate in my tiny, tiny kitchen. I have used this substitution for years and it works out so great! THANK YOU! I have been wanting to make chocolate donuts for the littles but I can't find sugar free baking chocolate... the one ingredient all these recipes call for. All I have is baking cocoa so I gave up on the idea. Oh my kids are going to be THRILLED tomorrow morning!!! So helpful because it's pretty easy for me to find dairy free cocoa! thanks! Dropping by to wish you a Merry Christmas!